Heather and I danced together in high school. She was a brilliant performer, but what I loved most wasn’t those Fouette en tourants she performed so effortlessly (though I was easily transfixed) but her compassion. We taught an after-school program together at a local elementary school; Heather had the patience of a saint! She worked with each student until they mastered the jazz square or grasped a sequence of movements. She never gave up on those kids. And nearly ten years later, she’s winning the hearts and minds of a new group of little ones at Dainta’s Children in Haiti. 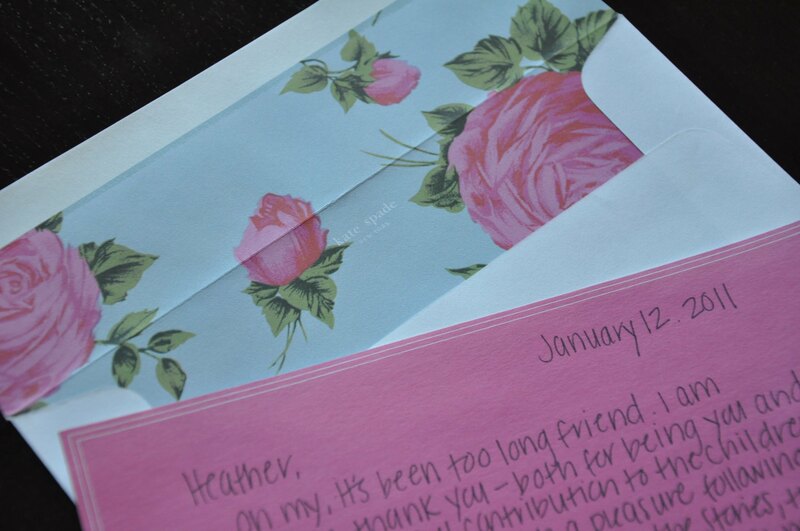 I thought it only appropriate that I write to her today. Follow Heather’s journey and donate to her cause here. Oh my, it’s been too long friend. I’m writing to thank you—both for being you and for your wonderful contribution to the children of Haiti. It has been such a pleasure following your journey on facebook—the photos, the anecdotes, the sorrow, the triumphs. You have touched so many lives and inspired people all over the globe (myself included). I cannot believe it’s been a year since that fateful day and the natural disaster that would kill hundreds of thousands of people and leave lives changed forever. I remember making a donation to the Red Cross and saying prayers on behalf of the victims and their families. But, you—you did so much more than that. And as we all returned to our lives and our own problems you continued to help the people of Haiti in a real way. Thank you Heather, for your selflessness and your spirit. For doing what we couldn’t or chose not to. I am so inspired by your altruism and so honored to know you. May the year ahead be filled with many successes and small-people smiles. I’ll be thinking of you my dear!